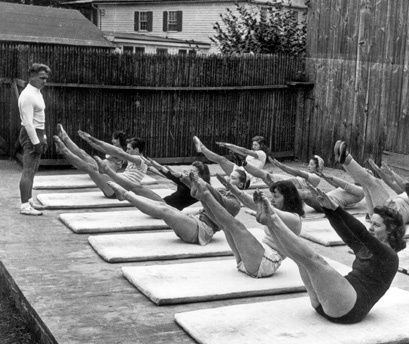 Offering privates and small group instruction based in the Classical work of Joseph Pilates. For many years I had been looking for a studio near my area that was offering classical pilates in Round Rock to take privates and classes. There were none. There were a few gyms that offered Mat classes, but none of them offered the complete Pilates experience of using the equipment Mr. Pilates developed. 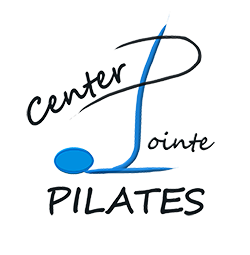 The equipment is the beginning of the pilates process and it is THROUGH the equipment in which the body learns to move and change. The equipment prepares the body for Mat work. With my children attending school in the area, and our involvement with Metamorphosis Dance Academy where I teach ballet, I was inspired to offer this amazing method of movement to the Round Rock community. For eighteen years I have taught pilates, first at Timberline Fitness and then until recently, at Castle Hill Fitness in Austin, Texas to some incredible individuals. I have been driving the commute for about the same number of years and was ready for a change and a more balanced life. I have met so many people in the Round Rock community that love to move and exercise, but do not want to drive a lifetime into Austin to do it; so in June of 2015, I opened Center Pointe Pilates. Round Rock’s FIRST fully equipped Pilates studio. Originally from Corpus Christi, TX, Melissa grew up studying ballet from age three through now. Her professional career in dance spans over twenty years, and she has taught ballet for the past thirty years. During her career with Tapestry Dance Company in Austin, TX, Melissa was introduced to pilates in 1997. The significant improvement and balance it brought to her body and her dancing was so gratifying, that she decided to pursue her certification. In 1999, Melissa received her pilates certification under Colleen Glenn of Glenn Studios/Goodbody’s of Dallas, TX, co-founder of the Pilates Method Alliance and Director of Education and Master Teacher for Peak Pilates. For the past seventeen years, Mel has been a certified pilates instructor training bodies of all skill levels, shapes, sizes, ages, and health at Castle Hill Fitness in Austin, TX. Melissa’s main focus is proper body awareness, alignment, and control while providing not only an intense and strengthening workout for her clients, but also tools to use while in the “real” world. Her clientele ranges from competitive athletes and dancers, to those with chronic health issues ranging from MS to herniated discs and hip replacements. Kait is a certified Pilates and Yoga instructor with over 1000 hours of training and teaches both children & adults. Kait developed a love of movement from an early age through dance. She taught dance all throughout high school and college to children of all ages. She has a Bachelor of Fine Arts in Dance from Webster University in St. Louis. It was during college, Kait was introduced to aerial movement. She has had the opportunity to perform and work with multiple aerial apparatuses, such as: silks, aerial cube, rope, and trapeze. (Although silk is by far her favorite!) In college she took her first yoga and Pilates classes, but it wasn’t until later she realized how passionate she was about both! Combined, Kait has over 1000 hours of training. While living in New York, she completely two Pilates certifications; the first focusing on mat and reformer, the second to learn more about the reformer, Cadillac, and chair. She then wanted to deepen her practice in yoga. She completed her 200 hour Yoga Teacher Training here in Austin focusing on alignment. Kait was so excited by her first yoga training, she immediately jumped at the chance to complete a 95 hour Children’s Yoga Teacher Training. Aerial yoga is one of Kait’s favorite ways to get on her mat. She loves how serious yoga can be, but it's good to find the balance between a serious and joyful practice. For Kait, aerial yoga is a perfect blend. You are able to find a beautiful moving meditation while still smiling and occasionally laughing at yourself. She thinks this is especially important for adults! Kait’s goal is to create a lighthearted class for all ages, while finding strength and balance in the body. Lindsay has been teaching Pilates for ten years and loves guiding her clients to optimal mobility. She completed her 488 hour Pilates certification with Balanced Body and has extensive anatomy and biomechanics training. She has experience working with all ages and abilities and enjoys helping clients live active, pain-free lives. Lindsay holds a BFA and MFA. She was recently accepted into the Doctorate of Physical Therapy program at Texas State University and will graduate in 2021 with her DPT. She will keep coming up with ways to explain something, using all kinds of examples, until you get it. “I went to Mel because I was told that she was extremely knowledgeable about the body and very smart in figuring out exactly what might be causing you any pain. And then figuring out how to fix it. Mel is an extraordinary instructor. What I appreciate most about Mel is her ability to see what muscles need work and to plan an effective and efficient program to strengthen them. I have worked with Mel for 18 months and the results are easy to see. I am much more aware of my muscles and how I am using them. My posture has improved, the range of motion in my shoulder is much, much better, and I can do the Pilates exercises with good form and ease. Duets receive the same individual attention but is broader based at a more affordable rate than the private. Privates allow the student to receive highly individualized training based solely on their needs. Trios, too, receive a thorough training session tailored to the group, but also at a lower price. The Young Dancer Series will be offered for the Spring Semester! Sundays from 2:00 – 3:00 p.m. This 14 week series takes young dancers through traditional Pilates movements, helping them gain strength, flexibility, control and balance as well as learn about the importance of breathing to enhance both their technique and performance. 5:30 – 6:30 p.m. 4 week series . Join Kait as she welcomes parents and children 7 and up in a fun, challenging and rewarding Pilates experience. Kait will introduce Joseph Pilates’ mat work teaching his traditional exercises and incorporate partner exercises and group fitness games. Let your kids discover how exercise can be fun and spend quality time together, too. 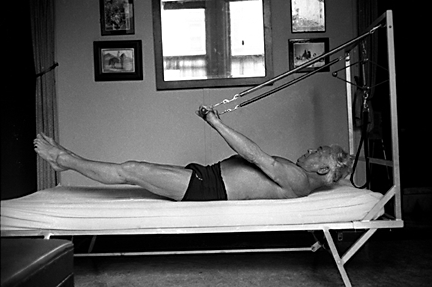 First called “Contrology” by its founder Joseph Pilates, pilates is a form of body conditioning and strength training that involves the mind, body, and breath. Over time, the 6 Foundational Principles: Centering, Control, Concentration, Precision, Breath and Flow of Movement have given pilates its uniqueness in the workout/exercise world. Pilates provides strengthening, toning, flexibility, range of movement, postural correction, and relief for lower back pain. It has positive impacts on those with scoliosis, herniated discs, spinal stenosis, sciatica, hip pain, shoulder pain, and neck issues. Pilates improves balance, aids in injury recovery, is safe for knee and hip replacements, those diagnosed with MS, lupus, rheumatoid arthritis, fatigue, stress, as well as osteopenia and osteoporosis and pregnancy. Pilates believed in the quality of each movement. Done with precision, control and concentration, pilates exercises do not need to be done in large quantities of reps. The body does not benefit from more reps if done wrong. Therefore, most pilates movements are done in small numbers – but with intense focus on execution. 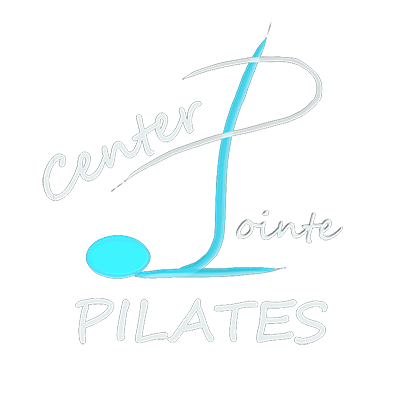 Center Pointe Pilates offers a complimentary 30 minute session to new students interested in learning more about Plates or to assess levels for clients with Pilates experience. Please fill out the form below, and we will contact you to schedule your appointment. We love talking to clients, so if you prefer we give you a call to schedule your intro session or to answer any of your questions, please leave us your phone number.